Transformers 2 – Power Play! Transformers 3 – Prisoner Of War! Transformers 6 – The Worse Of Two Evils! Transformers 7 – Warrior School! Transformers 9 – Dis-Integrated Circuits! Transformers 10 – The Next Best Thing To Being There! Transformers 12 – Prime Time! Transformers 13 – Shooting Star! Transformers 14 – Rock and Roll-Out! Transformers 15 – I ROBOT MASTER! 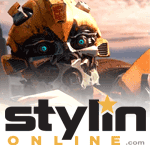 Transformers 16 – Plight of the Bumblebee! Transformers 17 – Return To Cybertron Part 1 – The Smelting Pool! Transformers 19 – Command Performances! Transformers 21 – Aerialbots Over America! Transformers 22 – Heavy Traffic! Transformers 23 – Decepticon Graffiti! Transformers 25 – Gone But Not Forgotten! Transformers 26 – Funeral For A Friend! Transformers 27 – King of the Hill! Transformers 28 – Mechanical Difficulties! Transformers 30 – The Cure! Transformers 37 – Toy Soldiers! Transformers 38 – Trial by Fire! Transformers 39 – The Desert Island of Space! Transformers 40 – Pretender to the Throne! Transformers 42 – People Power! Transformers 45 – Monstercon From Mars! Transformers 46 – Cash and Car-nage! Transformers 47 – The Underbase Saga Part 1 – Club Con! Transformers 48 – The Underbase Saga Part 2 – The Flames of Boltax! Transformers 49 – The Underbase Saga Part 3 – Cold War! Transformers 51 – The Man in the Machine! Transformers 52 – Guess Who The Mecannibals Are Having For Dinner? Transformers 53 – Recipe For Disaster! Transformers 54 – King Con! Transformers 55 – The Interplanetary Wrestling Championship! Transformers 57 – The Resurrection Gambit! Transformers 58 – All The Familiar Faces! Transformers 60 – Yesterday’s Heroes! Transformers 62 – Matrix Quest Part 1 – Bird of Prey! Transformers 67 – Rhythms of Darkness! Transformers 68 – The Human Factor! Transformers 70 – The Price of Life! Transformers 73 – Out of Time! Transformers 74 – The Void! Transformers 75 – On The Edge Of Extinction! Transformers 76 – Still Life! Transformers 79 – The Last Autobot? Transformers 80 – End of the Road!